“It Shoulda Been You" is more than the story of the marriage of a Jewish woman to a Catholic man. It’s a tale of the complications that arise when two families merge. 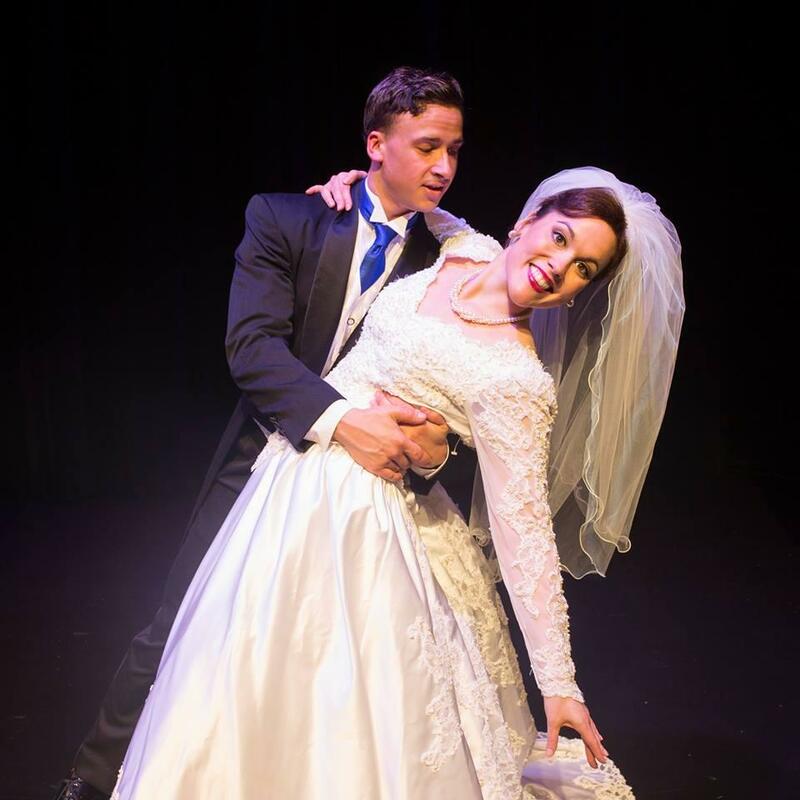 This shows stands out from other wedding plays - and not just because of the big “theatrical curve-ball” as promised by the program. The success of this production can be credited to sound fundamentals of theatre and the talent of the performers, rather than to mere plot twists- of which there are plenty. Consider first, Kathy Mulay’s direction. She uses the entire Little Theatre auditorium to stage dynamic musical numbers and fill the house with fluid movement, dance and celebration. The show’s big revelatory scene, with full cast on stage, is arranged by Mulay to tell this zany story with clarity and ensure that each laugh is set up and delivered. The ear hears every one-liner. The eye takes in every character’s reaction. Careful attention is also paid to grand entrances such that of Ben Zylman, as the delightfully effervescent wedding planner. (Father of the Bride’s Martin Short, hold on to your shorts.) Other comic moments include a delicate shuffle-ball-change by Hal Hobson-Morse, or the assertive beckoning gesture by a formerly spineless Rich Madelung to a surprised groom. As for the cast, it’s a treat to watch 13 performers sing with full vocal breath-support, as they dance or move around the stage. Laurie Carter Rose as the Martini guzzling-Georgette and DJ Bucciarelli as Marty exemplify the cast’s vocal strength. The dominant performance is that of Whitney Weiner as Jenny, the plus size “32-ish and Jewish” unmarried sister of the bride. 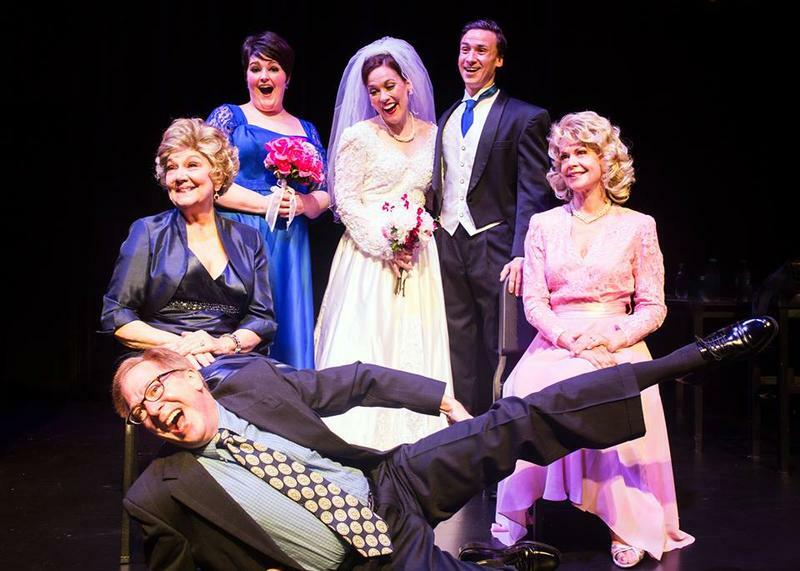 She leads the cast in the lively opening number “This Day,” introducing characters and some misgivings about the wedding. Later Weiner soars with the bawdy show stopper “Jenny’s Blues” - where plump Jenny struts her stuff. That leads her mother Judy - played with authority and grit by Zoe Vonder Haar - to finally see her as beautiful. This performer seamlessly shifts from buttery in her song “Nice”, to starring daggers when crossed. She also points daggers toward the privates of any wedding planner who doesn’t deliver. Marvelously supporting all of these performances are Lanford J. Potts’ lighting, and a flexible scenic design by Justin Thomas. Unified by sconces, blue circle settees and diamond motifs, Thomas’s colorful multi-level set quickly transforms from a hotel room, to a ballroom, to a women’s restroom. Speaking of which - this show runs an hour and fifty minutes, without intermission, although it seems shorter. That might mean some pre-show restroom lines. But based on the production I saw on opening night, the much longer lines will be the ones queuing up to get into “It Shoulda Been You”. It can be hard enough to portray real animals on stage. But how do you bring a creature to life that doesn’t exist? 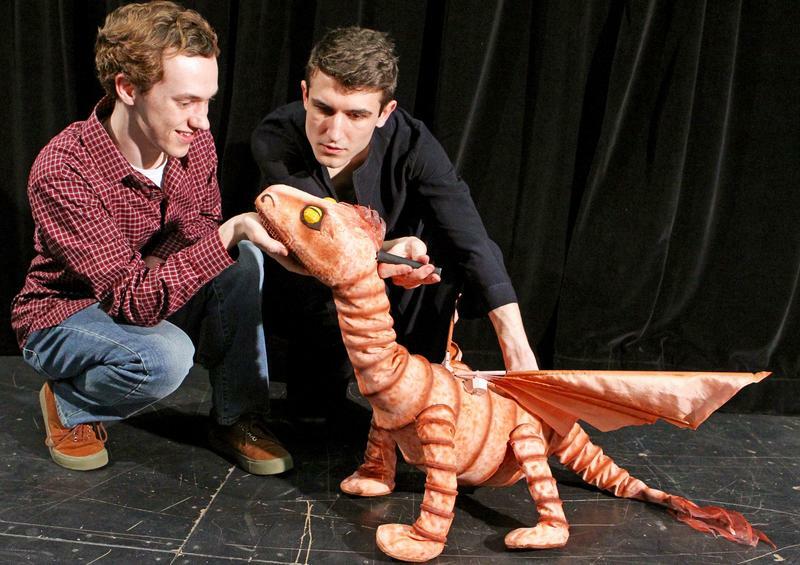 This weekend is the world premiere of Western Michigan University’s original play Jeremy Thatcher, Dragon Hatcher. The play runs for two weekends, March 10-19.